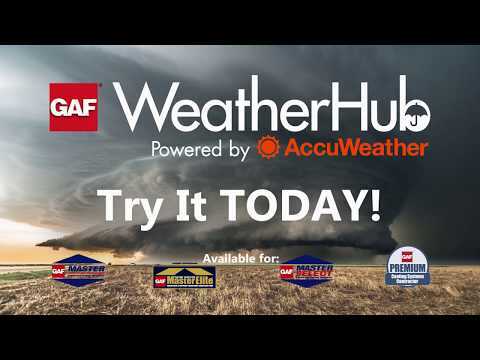 Introducing the GAF WeatherHub powered by AccuWeather – the first name in Weather Forecasting for roofing. WeatherHub is an all in one weather forecasting and historical reporting tool that helps you drive lead generation, verification, and planning using data. Enhance every aspect of your roofing business today with WeatherHub.